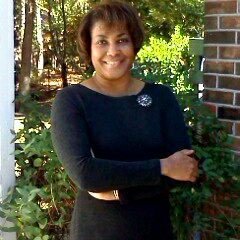 Deborah is the Founder and CEO for HR Pros, LLC. Her background spans over 20 years of Executive Recruiting, HR Consulting and Career Counseling. Deborah has her Bachelor’s degree from Georgia State University with a major in Business and her Master’s from National Louis University, Tampa campus, with her major in Human Resources Management and Development. She has been a successful entrepreneur - having started and grown several businesses. She has also had 20 years of experience in many verticles: manufacturing, financial services, health care, retail, hospitality and government enterprises. She has been a VP of HR, an HR Director, HR Manager, Compensation and Benefits Manager, Executive Recruiter and HR Generalist over her career span. She is a master at recruitment and selection, employee relations, compensation and classification, benefits administration, policy and procedure development, training development and presentations, and career coaching. On the weekends and holidays, Deb can be seen hanging with her young grandkids and loves shopping, traveling and creative writing. Machelle is an attorney, a veteran, and a Human Resources professional. Her career in HR began when she served in the United States Navy as a training officer and later as a recruiter. She has also served as an HR Generalist, HR and Legal Consultant and Director of Classified Employment where she directed the activities of compensation and benefits, policy and procedure development, training development and presentations and staffing. She has a Bachelor of Arts degree in Writing from the University of Hawaii, a Master of Science in Human Resource Management and Development from National Louis University and a Juris Doctor from Oklahoma City University School of Law. Machelle has practiced in Employment Law and has taught at the Graduate level in Management, Human Resources, Contemporary Business Law, and Leadership. She has also taught at the Undergraduate level in Communications, Project Management, Strategic Business Planning and Global Business Strategies. During her spare time, Machelle enjoys British T.V. (a proud Downtown Abbey addict), interior decorating, creative writing, and spending time with her family. ​​Doris is a Certified Professional in Human Resources (SPHR and SHRM - SCP). She has her Bachelor's degree from The University of Tampa with a major of computer science and a minor in business administration. She has an extensive background in HR generalist responsibilities including experience in employee recruitment and retention, staff development, mediation, conflict resolution, benefits, compensation, strategic partnership, HR records management, HR policies development and legal compliance. Doris is a visionary change agent, offering over 20 years of expertise in strategic and tactical human resource management. She’s an Inspiring leader who engenders accountability and commitment among entire organizations from senior leadership to hourly employees. Her experience includes multiple verticals: not-for- profit, healthcare, banking, retail and food service. On holidays and weekends Doris enjoys spending time with her husband and teenage daughter and enjoys traveling shopping and martial arts.